KEARNEY – The University of Nebraska at Kearney will be well-represented at this year’s Intercollegiate Broadcasting System College Media Awards in New York City. 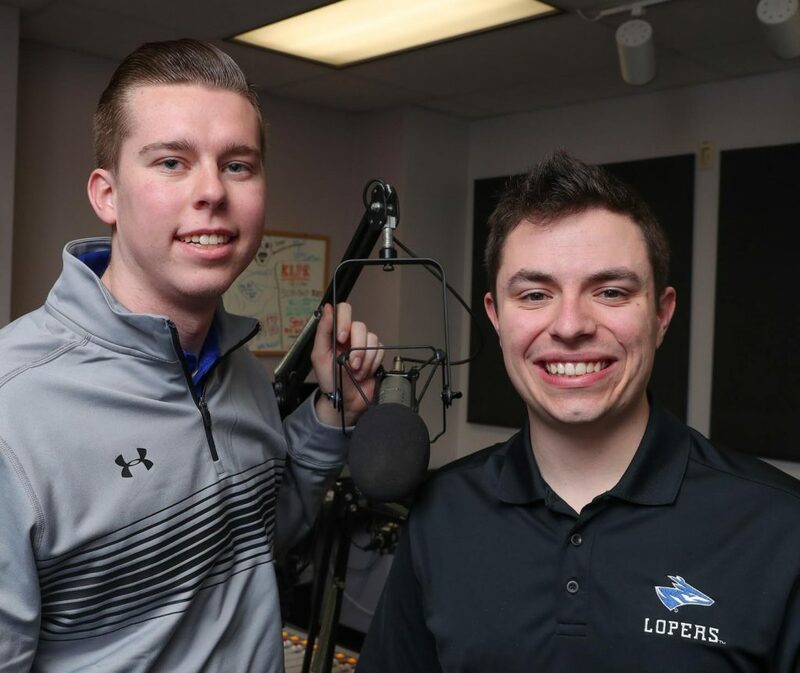 UNK students are finalists in four categories in the annual competition, which includes campus radio stations from across the country. Austin Jacobsen and Evan Jones are finalists in the best football play-by-play and best sports pregame/postgame show categories for their broadcast of last year’s home football game versus Lindenwood and the “UNK Gameday” show, which also featured students Cade Cox of North Platte and Lucas Bolubasz of Lincoln. Jacobsen is a junior exercise science and sports communication major from Sidney and Jones is a senior sports management and sports communication major from Cambridge. They work together as co-sports directors for KLPR. 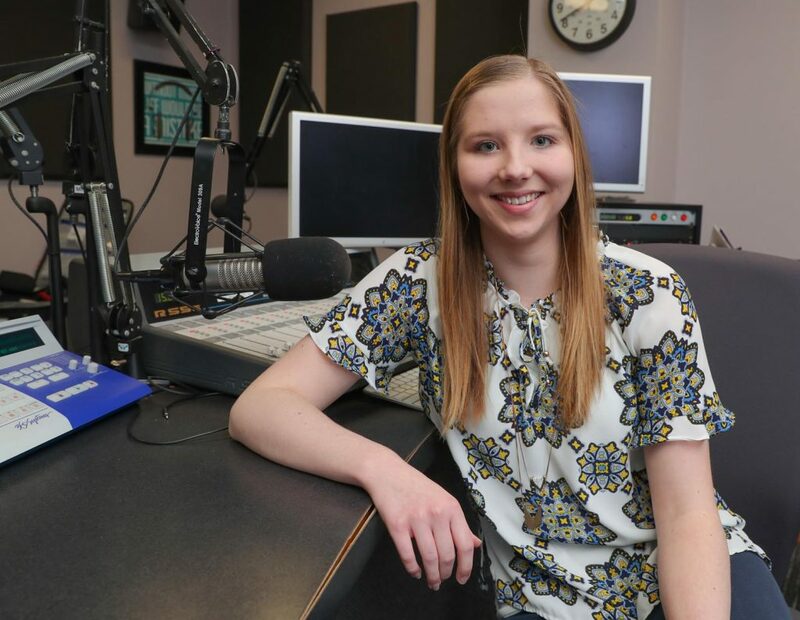 Haley Pierce, a junior journalism major and political science minor from West Point, is a finalist in the best public affairs program category for a “Focus on UNK” piece she produced for an audio production and announcing class. Pierce, who serves as news editor for The Antelope student newspaper, interviewed UNK enrollment management officials to highlight the importance of student recruitment and retention. UNK’s other finalist is the Theatre of the Mind student organization, a group of theater and communication students who write, direct and produce original radio plays. “The Story of Eureka,” which was selected in the best radio drama category, tells the story of a murder in ancient Greece. Eureka goes to any length to figure out how her lover and friend died with only a prophecy from the Oracle. College Media Award winners will be announced March 2 during the Intercollegiate Broadcasting System annual conference at the historic Hotel Pennsylvania in Midtown Manhattan.